What is Mortgage Document Management software? Success as a mortgage broker depends on volume. The more clients you can sign up and get sorted, the better. But it's easier said than done, given the number of documents you need them to send you, on time and in the right format. We have good news - mortgage document management software is here and it's a lifesaver when it comes to staying on top of the paperwork. So what is it and what can it do for you? Imagine that there was a tool that lets you request documents from clients, kept an eye on the deadlines, gave the clients a gentle nudge when needed, and made sure everything came back in the right format. Well - that's what a mortgage document management tool like FileInvite can do for you. With a single glance at the dashboard, you can see which clients have returned what documents on every loan you're working on. Time is money, and that's certainly the case for mortgage brokers. Every hour you spend emailing clients, following up with reminders, checking the documents you receive are complete, signing, scanning and chasing countersignatures - is an hour less for you to spend looking for new business. And if you multiply that single hour by all the clients you have on your books, you'll quickly find yourself looking at days if not weeks of tedious admin. This tech will definitely make life easier for you, but what about your clients? Turns out, they don't really want to spend their time dealing with numerous emails from you either. The great thing about this software is that it simplifies the document collection process for them and streamlines communications with you, resulting in faster turnarounds on their loan applications. And since the process is managed within a single portal, the whole experience looks professional and is managed in a consistent way, regardless of who is working on their application at your end. By making your processes more efficient, you and your colleagues have more time to bring in new clients. Once upon a time, that used to be a mixed blessing in a document-heavy industry like mortgage brokering, since the more business you brought in, the more staff you'd have to hire to deal with the extra admin. Tools like FileInvite get around this problem by automating much of this document management, meaning your business can get far more done with the same headcount. And staff who used to spend countless hours photocopying, collecting signatures, filing and other mindless jobs are freed up for more meaningful tasks to help the business grow. 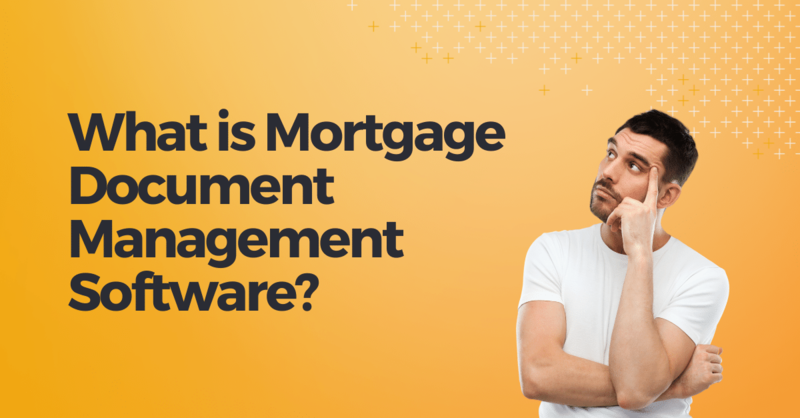 So if you spend most of your time stuck in endless email chains, standing by the photocopier scanning documents, or on the phone trying to explain the difference between a .doc and a .pdf file, you need to take a serious look at mortgage document management software. Don't wait to improve the way you work, begin now by signing up for a free trial with FileInvite.